As Rock Creek Park marked its 125th anniversary in 2015, the Rock Creek Conservancy enlisted bloggers to help celebrate the unique part this park plays in the District’s history and ecology. David and Lorraine Swerdloff signed on, and we’re lucky they did. 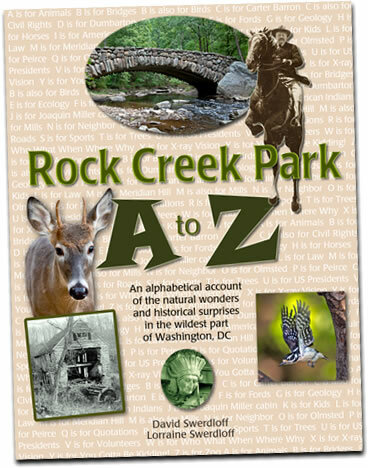 The material they gathered for the blog is now a book: Rock Creek Park A to Z. Its alphabetical format and colorful photos and illustrations hooked the youngest reader in my household immediately. The book hooked the oldest reader (okay, that’s me) with its deep dive into the history of the land and people, and its advocacy for this national park in our backyard. This book covers everything: History, ecology, people and politics, and in great detail. You must have had an army of researchers, right? It’s amazing how productive you can be if you give yourself most of a year – and choose as a research topic a National Park that has a long history in the nation’s capital and attracts visitors with expertise in everything from biking to birding. Many original sources are available online. Historic newspapers are searchable from home. Government files yield hundreds of fascinating (and public domain) images, documents and maps – while others are preserved at libraries and archives. Local experts enthusiastically share their knowledge and passion. I also got to build on what I learned about Rock Creek writing a history of the Crestwood neighborhood that adjoins the park. Why did you organize the book in an alphabetical format? The Conservancy was looking for bloggers throughout 2015 in honor of Rock Creek Park’s 125th anniversary. 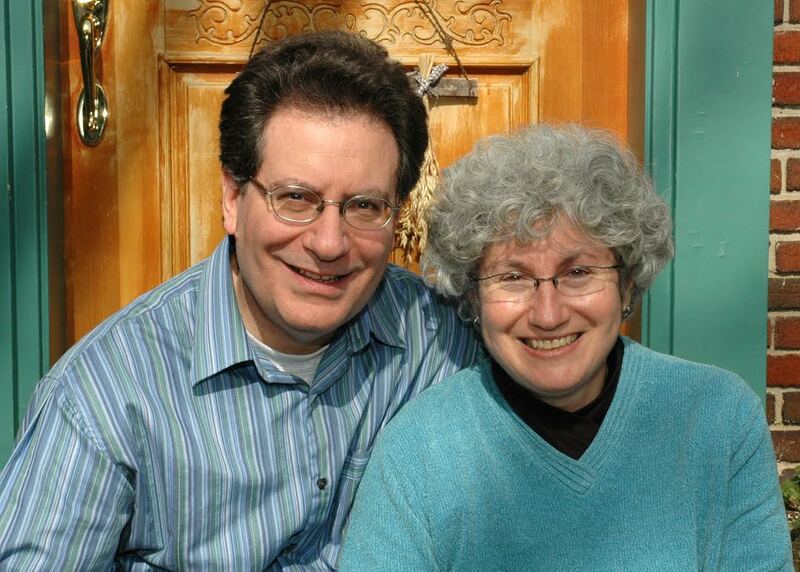 My wife and I figured that – if we did a weekly blog – the number of posts would total 52, which is twice 26. So we got the idea of going through the alphabet twice, from A is for Animals to Z is for Zoo. While we didn’t quite make it to 52 posts, we did discover that the alphabetical format had unexpected advantages. First, you are forced to determine which subjects truly merit their own letter. Second, in order to use every letter of the alphabet, you wind up organizing material in creative ways. For example, X is for X-ray (with diagrams showing the internal structure of bridges, mills, the fish ladder and the park’s basic ecology). Q is for Quotations (citing the words of politicians, poets and planners). And Y is for You Gotta Be Kidding! (chronicling serious proposals that would have flooded, paved or filled in the creek – or cluttered the park with monuments). X and Y are two of my favorite chapters. What kind of reader did you have in mind when you wrote the book? Really, anyone who’s interested in the DC area or takes pleasure in Rock Creek Park—and enjoys getting a fresh serving of information, letter by letter. While there’s been plenty of fine writing about Rock Creek Park, Lorraine and I tried to fit in as many compelling facts, stories, maps and images as possible in one volume, then present them in small, colorful bites from A to Z (though binge reading is also encouraged). The first of many surprises, for me, was in the first paragraph on the first page: prehistoric mammals once roamed our region. I imagined a mastodon herd roaming the National Zoo grounds. (I might have even said “WOW!” out loud!) Which discoveries surprised YOU the most? Many US Presidents have a connection to the park. I especially love the drawing Teddy Roosevelt made for his son showing a fawn he surprised on one of his jaunts near Rock Creek… and the photo of Roosevelt leading a group of Army officers scaling a rock face in the park. Bureaucracy saved Beach Drive from becoming an expressway. There was too much red tape to get DC, the National Park Service, regional officials and the Smithsonian to all agree on a highway plan. One result was that drivers had to splash through fords well into the 1960s. Geology helps explain the great variety of living things along Rock Creek. The park straddles the line between the Coastal Plain that features one set of plants and animals… and the upland environment of the Piedmont. The stars came to Carter Barron. The Amphitheatre, built for an annual historic pageant that lasted just two seasons, went on to feature the biggest names in pop, jazz and the musical stage – from Ella Fitzgerald and Benny Goodman to Bruce Springsteen and the final performance by Smokey Robinson and the Miracles. Native Americans left behind evidence of visits to Rock Creek 4,000 years ago. The hills above Piney Branch were the source of quartzite rock they shaped into spear points – while the area we call Soapstone Valley provided the soft stone they carved into cooking pots. Peirce Mill comes up many times in your book. Why is this such a prominent part of the park’s history? Through the Peirces (and their relatives, the Shoemakers), we can picture the banks of Rock Creek bustling with business in the 19th century – from their large landscaping enterprise to milling, farming, logging, quarrying and distilling. The Peirces were the valley’s largest owners of land – and, emblematic of the evils of the era, of slaves. Several of the family’s buildings (including Peirce Mill) comprise most of the historic structures that are still standing today. This book is more than a collection of facts. It's a call to action against erosion, pollution and other threats to our park. What do you consider the greatest problem? Rock Creek faces so many challenges that I’d rather focus – not on its greatest problem – but on the great opportunity we have today. It’s never been clearer that everyone in the area has a role to play in preserving the great wilderness at the heart of Washington. The solution is in our daily habits, our enthusiasm, and our willingness to collaborate with the organizations working to support the park. What do you hope readers will take away from this book, more than anything? For one thing, that Rock Creek Park deserves more love, and its history merits greater respect and attention. Of course, Washingtonians aren’t the only ones who sometimes take the park for granted. Though RCP was rather revolutionary at its birth in 1890 (America had just two other National Parks at the time), it didn’t get a mention in the long Ken Burns documentary on National Parks. RCP was also ignored in a recent April 2016 National Geographic article on urban parks. Let’s spread our pride and gratitude that such a green oasis flourishes in the middle of our city. Politics and Prose has been selling the book from the beginning – and it should be appearing soon at the Rock Creek Nature Center gift shop. We’re working to get it on the shelves at other bookstores (please ask them to stock Rock Creek Park A to Z). It’s totally available online from a variety of sources, including Amazon. You can follow the link at swerdloff.us/RCP.